Dog Walking. If you’re a dog lover, your four-legged friend is your ultimate companion. But when you’re feeling overwhelmed, you barely have time to exercise yourself, let alone make sure Fido gets enough exercise, too. Keep yourself and your dog healthy and happy with a few well-placed additions to your dog-care schedule. Building a routine for your pet is mutually beneficial. Taking 20-to-30 minutes to walk your dog before tackling your next project can give you just the respite you need to clear your mind and get pumped up to move forward. Plus, walking your dog enforces a strong leadership position with your pet. For most dogs, trotting around by themselves in the backyard can be rather boring. 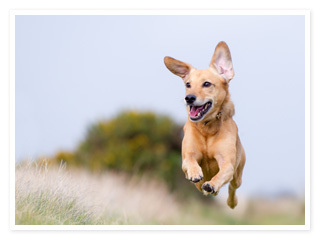 In addition to exercise, dogs crave love and attention and thrive on an established routine. This is especially important in terms of potty breaks and feeding times. Also, dogs need enough sleep to function effectively. If possible, consider designating an area of the house, such as a cushion or crate, for your dog, and keep your own bed a dog-free zone. This will allow your pet to have some ownership of his own special space and will ensure that you get a full night’s sleep as well. As part of your pup’s schedule, try incorporating a 10-minute block of training time every day. Don’t stress about you or your dog performing perfectly. Make it a fun activity to break up your day, and an opportunity for much-needed bonding time. Now that you have a playful, obedient, well-fed pup, you’ll want to show off your pride and joy. Make sure your dog’s well-groomed and that you keep up on necessary hygiene needs. Most dogs are pretty good self-groomers, but it’s important that you keep up on monthly flea and tick care and perform maintenance on their nails, eyes and ears as needed. This can be done by establishing a grooming routine. Now, grab the leash, pick up that brush, or fill up that food bowl! But most of all, have fun! Your beloved dog is waiting for you! This entry was posted in Dog Walking, Information and tagged Dog walking, exercise, facts, fit, Happy Dogs, Johannesburg, Routine, your hound. Bookmark the permalink.